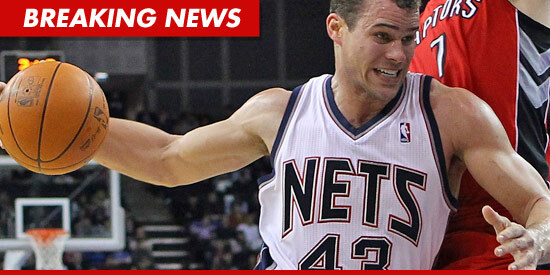 Kris Humphries One-Year $8 Million Contract---On December 21, 2011, the NBA player, Humphries signed one-year, $8 million contract with the New Jersey Nets. Kris is most famous for his 72-day failed marriage to reality-TV star Kim Kardashian. Humphries married reality TV personality Kim Kardashian on August 20, 2011. On October 31, 2011, it was announced that Kardashian filed for divorce from Humphries after 72 days of marriage. On December 1, 2011, Humphries filed his response to Kardashian’s petition, requesting an annulment on the grounds of fraud or a decree of legal separation rather than Kardashian’s requested divorce. The one-year pact will return the Kim Kardashian’s soon to be ex-husband to his former team — and will last longer than his marriage. Humphries had his best NBA season for New Jersey a year ago, averaging 10 points and 10 rebounds. He became one of the best per-minute rebounders in the league. The Kardashian sisters flirtation with naked yoga — a practice Humphries deemed unsanitary — was a pivotal plot point on a recent episode. Humphries averaged 10 points and 10 rebounds last season, breaking into the Most Improved Player conversation after six seasons as a role player. On July 9, 2009, Humphries, Shawn Marion and Nathan Jawai were traded to the Dallas Mavericks as a part of the four-team deal among Raptors, Mavericks, Orlando Magic and Memphis Grizzlies. On January 11, 2010 the Mavericks traded Humphries along with G/F Shawne Williams to the New Jersey Nets in order to re-acquire Eduardo Nájera. On January 27, 2010, Humphries scored a career-high 25 points against the Los Angeles Clippers. He previously recorded career highs of 15 and 21 points respectively as a New Jersey Net. The 2011 season was a breakout season for Humphries as he averaged a double-double in points and rebounds.